CAA is accepting applications for Meiss/Mellon Author’s Book Awards for the spring 2014 grant cycle. This grant program is designed to support the work of emerging authors of manuscripts in art history and visual studies who are responsible for paying for rights and permissions for images in their publications. Awardees will be selected on the basis of the quality and demonstrated financial need of their project. Successful applicants will be authors under contract with a publisher for a manuscript on art history or visual studies. Awardees are announced six to eight weeks after the deadline. For a fuller grant description, the complete guidelines, and the application forms, please visit the Meiss/Mellon section of the CAA website or send an email to nyoffice@collegeart.org. Deadline: March 15, 2014. 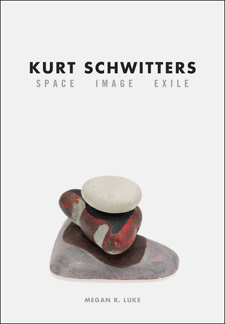 Megan R. Luke won a Meiss/Mellon Author’s Book Award in spring 2013 for her book Kurt Schwitters: Space, Image, Exile (Chicago: University of Chicago Press, 2013).